I completely endorse Tim’s views and would urge any of you who do not follow his blog and happen to see this one to make your support known! 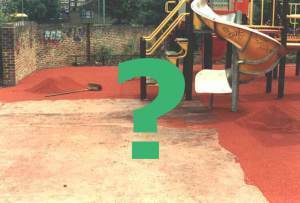 Yesterday ASTM put on hold its proposal to tighten up playground surfacing standards, according to reports from committee members. ASTM’s original proposal has prompted widespread criticism: most recently from campaigning journalist Lenore ‘Free Range Kids’ Skenazy and leading American playground design commentator Paige ‘Playscapes’ Johnson. So yesterday’s decision – to suspend publication and refer the issue back to the relevant committee – is good news. However, it is not clear what happens now. The next meeting of the surfacing committee is in May. But some members have told me that the chairman, George Sushinsky, is considering re-balloting members to push it through before then – perhaps before the end of March. ← Sometimes good things happen!